Fall means Apples. While I have always had a hard time with raw apples (they give me a belly-ache), I love cooked ones. 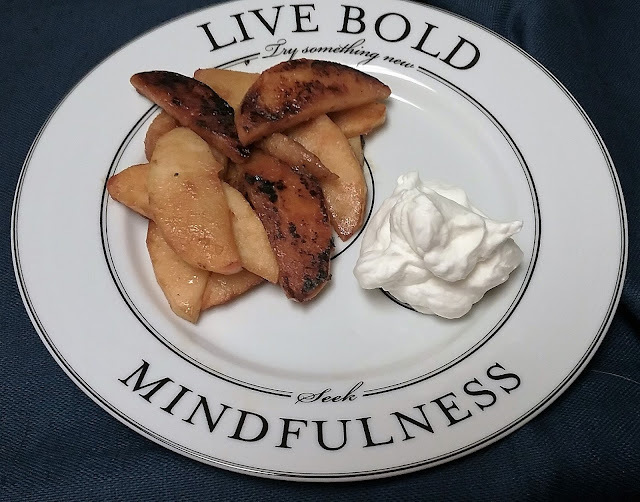 Here's my easy-peasy recipe for Sauteed Apples. The recipe also works with pears and bananas. I use one half apple per person and a few tablespoons of butter - enough to keep the apples from sticking. For a dessert, I garnish with a dollop of whipped cream flavored with rum (either real rum or rum extract). Naturally, I serve on a Livliga® side plate! However, this can also be used as a side dish for roast pork, turkey or ham. You can sprinkle in some raw cranberries for lovely color and a zing. Peel and cut the apples. Heat your skillet on high. Add the butter and then the apples. Stir/flip the apples around, and let them get a little bit brown/crisp. Stir/flip again and turn the heat down to medium low. Sprinkle with cinnamon (or not) and other spices, one at any time. Keep stirring/flipping every 5 minutes or so until the apples are semi-soft. I enjoy serving my guests using the Livliga line of products with the built-in portion control. I love that they are designed to support my program of right-sized eating and drinking. Take a peek at what they offer at: livligahome.com. Our Guest Blogger this month is Liz Bull. She is an avid Livliga Affiliate. Here is information about her background and professional credentials as well as information about how to connect with her. Liz Bull helps women (and brave men!) who are fed up with weight loss programs that don’t work to finally get a body and a life they love. 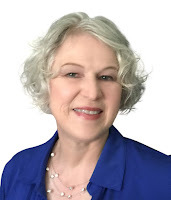 A Medical Intuitive, Master Theta Healer, and Certified Virtual Gastric Band Practitioner, Liz has long been fascinated by the important role mind, body, and beliefs play in our lives. Her other studies and certifications include EFT, Psych-K, Matrix Energetics, Access Consciousness, QiGong, NLP and Transcendental Meditation.